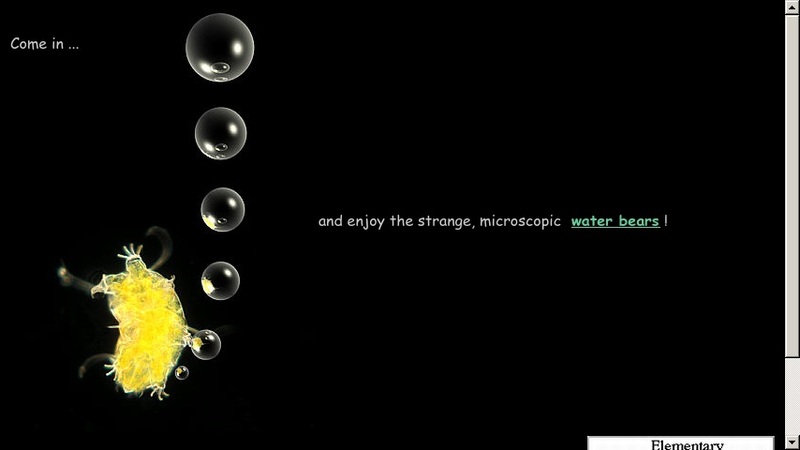 This creative and informative web site is dedicated to Tardigrades, more commonly known as water bears. The site, directed towards children and the general public, includes the following features: short introduction, still images, impressions (photomicrographs), videos, and the Water Bear web base. The Water Bear web base is a free monthly journal dedicated to water bears. Back issues are available on-line and discuss every aspect of water bears, including where to find them, how to culture them, their history, reproduction, and much more!